I just received an email from Danny Gregory with very exciting news. He is going to be teaching a three day drawing class in the Berkshires at the end of this May. I've already signed up. He has had an enormous inspiring influence on me and many many others through his published books and videos of illustrative journaling and drawing. He is Executive Creative Director of a major NY ad agency, and author of six books (so far). 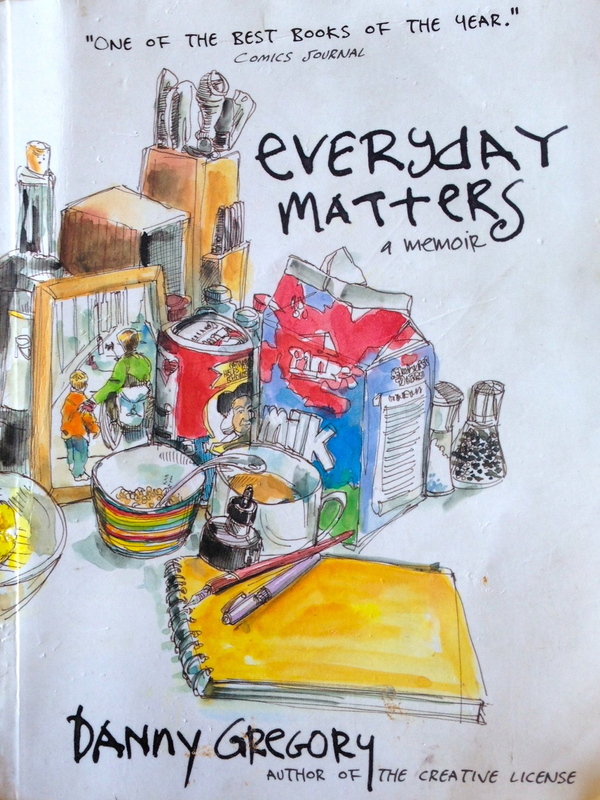 Everyday matters is probably the one he is best known for, and I've gotten into the habit of regularly giving it as a gift, along with my handmade journals, to people interested in drawing and writing.